Stainless steel offers many advantages. The major advantages include its high corrosion resistance allowing it to be used in rigorous environments. It is resistant to fire and heat allowing it to resist scaling and retain strength at high temperatures. Its hygienic, non-porous surface coupled with its easy cleaning ability makes it the primary choice for applications which require strict hygiene control, such as hospitals, kitchens, and other food processing plants. Aesthetic appearance also provides a modern and attractive appearance for most applications. Our capabilities in stainless steel fabrication are highly valued across a wide range of applications. From sturdy frames to intricately formed cutwork grills and decorative motifs, the many forms of stainless steel fabrication makes great use of our state of the art water jet cutting machine, Our services include water jet cutting, press brake machine, punching, welding and assembly. 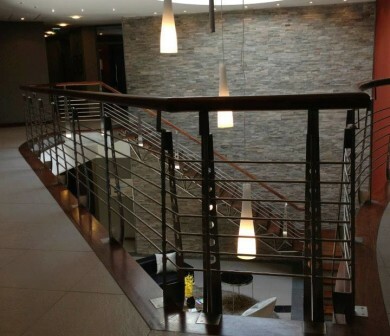 Our expert team can advise and plan your custom stainless steel fabrication job from start to perfected finish. 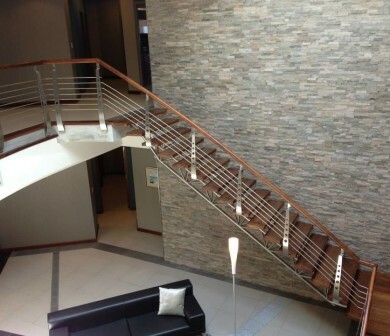 We have been working with customers in stainless steel fabrication since we founded our firm in 1988. 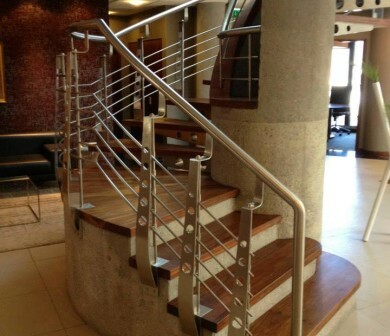 That’s years of experience in custom metal and stainless steel fabrication. 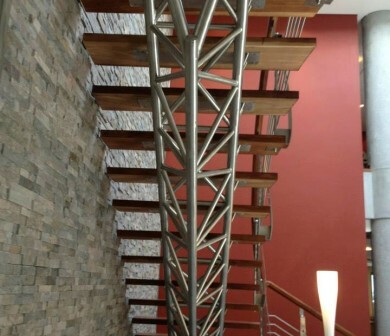 That history includes the progressive addition of many technologically sophisticated processes over the years to provide the most advanced metal fabrication services available. But we will never forget our roots and with many years of services in the stainless steel fabrication industry, our history gives us vital insight and expertise in how to plan and deliver projects that meet and exceed customers expectations.